The positive effects of musical education go far beyond the formation of an orchestra. Music is about understanding how our personal affinities contribute to creating a better harmony with our peers. It is about comprehending how our individual efforts are key for the group to thrive. 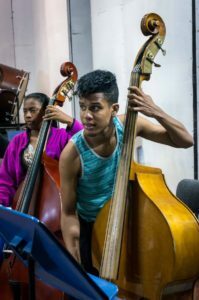 In Ecuador, access to musical education has been limited. 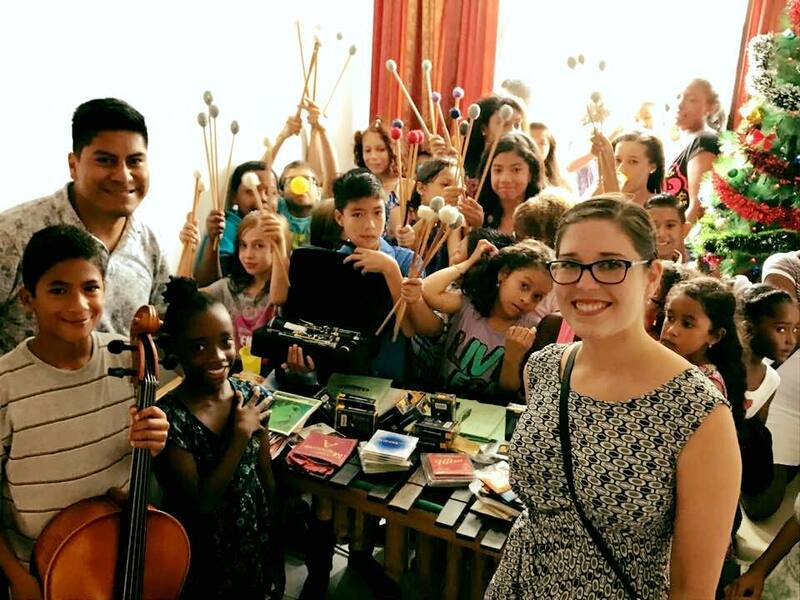 The high cost of musical instruments, the growing need for instructors, and the scarce availability of adequate infrastructure, without a doubt, restrict access to musical education for the majority of children. It is this context that Symphony for Life exists. A province in northwest Ecuador with more than 530 thousand habitants. 57% of the population in the city of Esmeraldas suffers from poverty. The average schooling rate in the canton of Esmeraldas is 10.8 years on average. Symphony for Life begins its journey with a cooperation from the Inter-American Development Bank (IDB). 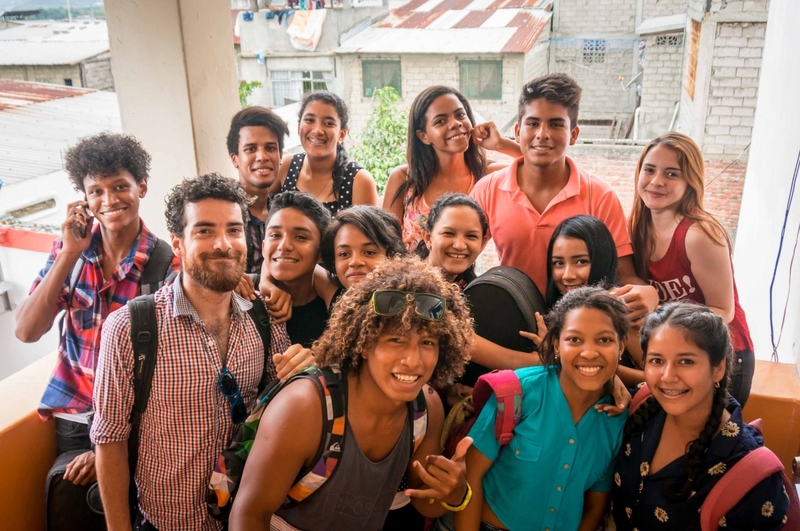 The program supports the Fundación Orquesta Sinfónica Juvenil del Ecuador (FOSJE) in Quito and Guayaquil, and Huancavilca Foundation in Guasmo. 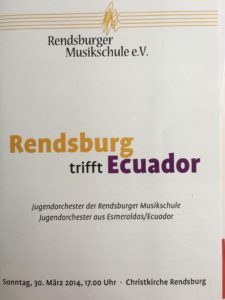 The music school in Esmeraldas is inaugurated under the direction of Rommy Miller, jointly with the Municipal Conservatory of Esmeraldas, which was created within the framework of the program. Professors from the prestigious Juilliard School of New York offer lessons in Symphony for Life’s music school. This agreement is maintained in the following years until nowadays. Symphony For Life gets created as a non-profit corporation 501(c)(3) in Washington D.C., U.S.A. to strengthen international funding. Symphony for Life performs under the baton of Ignacio García Vidal, a renowned professor from Spain. Yearly, he offers courses and conducts the orchestra. The Esmeraldas Youth Orchestra performs in Teatro Sucre in Quito for the first time. The orchestra continues to play in this renowned theater each year, accumulating successful performances. EDUNOVA Foundation takes charge of the execution of the program Symphony For Life. 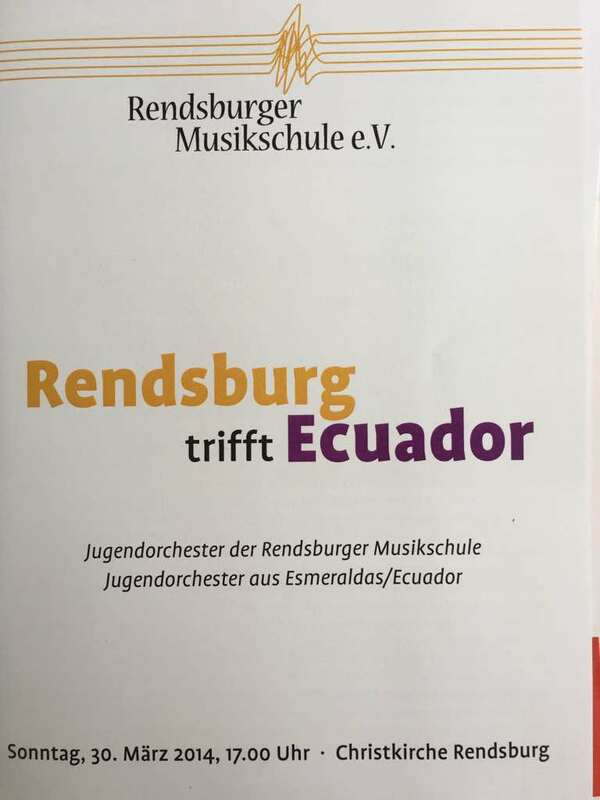 The Esmeraldas Youth Orchestra participates in a cultural exchange program in Rendsburg ad Hamburg, Germany. A 7. 8 magnitude earthquake hits Ecuador’s coast producing devastating effects in Esmeraldas. 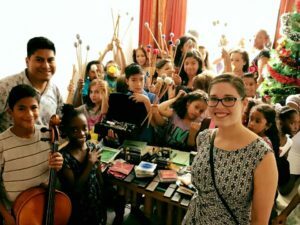 Symphony for Life’s Youth Orchestra takes action and organizes concerts sowing hope in the community. Throughout the years other institutions have joined in support: the INNFA with musical instruments, The Juilliard School with visiting professors, The Washington Music Center by offering the public school discount on musical instruments, Airlines Ambassadors in transportation to Ecuador, and Partners of the Americas in handling of donations. In 2013, the program cooperated with FAMI-E, a parents organization. The private sector has supporting our mission with enthusiasm and significant resources. We are especially grateful to the pioneer donors: Diners Club del Ecuador, Hidalgo e Hidalgo, Grupo Futuro, Sr. Roque Sevilla y Sra. Pilar Pérez, and many individual donors. All these supporters are committed to Symphony for Life’s mission and to the development of Ecuador. We expect our donor base to expand as a growing group of businesses become aware of their corporate social responsibility. Symphony for Life is a commitment to our country and a commitment to ourselves; to work together to provide opportunities to those who surround us, towards a better city, a better country, and why not dream of a better world. 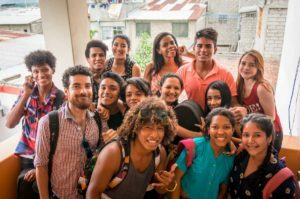 We invite you to support us in changing lives, to collaborate with this social inclusion program and the improvement of education.